7: Is nanotechnology a promising field for insect pest control in IPM programs? 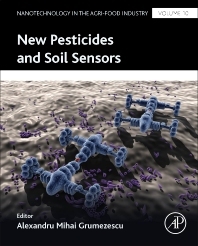 New Pesticides and Soil Sensors, a volume in the Nanotechnology in the Agri-Food Industry series, is a practical resource that demonstrates how nanotechnology is a highly attractive tool that offers new options for the formulation of ‘nanopesticides’. Recent advances in nanopesticide research is reviewed and divided into several themes, including improvement of the water solubility of poorly soluble pesticide active ingredients to improve bioavailability and the encapsulation of pesticide active ingredients within permeable nanoparticles with the aim of releasing pesticide active ingredients in a controlled or targeted manner, while also protecting active ingredients from premature photo-degradation.